Click the Browse button in the Upload Package File section and locate the downloaded zip package. Click Upload & Install. 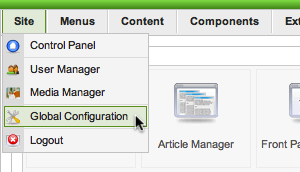 Go to Site -> Global Configuration. 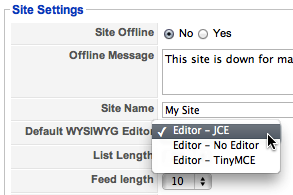 Select 'Editor - JCE' from the 'Default WYSIWYG Editor' select list.